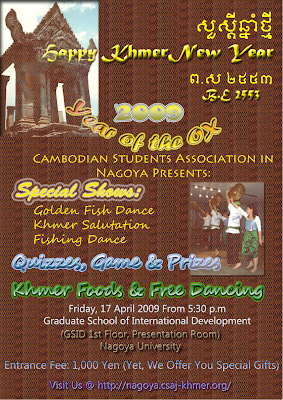 Happy Khmer New Year to all!!! Eya, promote Prea Vihea dol heoy neak! kekekek wish I could joing ... anyway, Happy Khmer New Year to all! happy new year :) I joined the new year yesterday in Tokyo!! !